Represents a vector in 3-dimensional real space. Set x,y and z-component of a vector. Referenced by OBRotamerList::AddRotamer(), OBRing::findCenterAndNormal(), OBFloatGrid::GetMidpointVector(), OBBuilder::GetNewBondVector(), OBAtom::GetVector(), OBForceField::NumericalDerivative(), OBForceField::NumericalSecondDerivative(), vector3::randomUnitVector(), OBAtom::SetVector(), OBForceField::ValidateConjugateGradients(), and OBForceField::ValidateSteepestDescent(). Set x,y and z-component of a vector from c..c.
Access function to set the x-coordinate of the vector. Referenced by OpenBabel::areDuplicateAtoms(), OBForceField::GetGrid(), OBForceField::MolecularDynamicsTakeNSteps(), and vector3::operator*=(). Access function to set the y-coordinate of the vector. Access function to set the z-coordinate of the vector. Referenced by OpenBabel::areDuplicateAtoms(), OpenBabel::CalcSignedVolume(), OBForceField::GetGrid(), OBForceField::MolecularDynamicsTakeNSteps(), and vector3::operator*=(). Access function to get the x-coordinate of the vector. Access function to get the y-coordinate of the vector. Access function to get the z-coordinate of the vector. Set c..c to the components of the vector. Access function to x: , y: , and z. This (slow) method allows to access the elements of the vector as if it were an array of doubles. If the index is > 2, then a warning is printed and 0.0 is returned. Otherwise, if i is 0, 1 or 2, then a reference to x, y or z is returned, respectively. This method is primarily designed to facilitate the integration ('Open Babelization') of code that uses arrays of doubles rather than the vector class. Due to the error checks the method is of course very slow and should therefore be avoided in production code. Vector addition (add v to *this). Vector subtraction (subtract v from *this). Scalar addition (add f to *this). Scalar subtraction (subtract f from *this). Scalar multiplication (multiply *this by c). Scalar division (divide *this by c). Create a random unit vector. Replaces *this with a random unit vector, which is (supposed to be) uniformly distributed over the unit sphere. Uses the random number generator obRand, or uses the system number generator with a time seed if obRand == NULL. Referenced by OBBuilder::Build(), OBBuilder::Connect(), OBBuilder::GetNewBondVector(), matrix3x3::randomRotation(), OBBond::SetLength(), OBForceField::VectorBondDerivative(), and OBForceField::VectorLengthDerivative(). Scales a vector to give it length one. This method normalizes *this. In other words, it divides the x,y,z coords of *this by this->length(). If *this can't be safely normalized, it remains unchanged. See CanBeNormalized(). Referenced by OBRing::findCenterAndNormal(), OBBuilder::GetNewBondVector(), OpenBabel::InternalToCartesian(), OBForceField::LineSearch(), matrix3x3::PlaneReflection(), vector3::randomUnitVector(), matrix3x3::RotAboutAxisByAngle(), OBAtom::SetHybAndGeom(), OBBond::SetLength(), OBForceField::ValidateLineSearch(), and OBForceField::VectorAngleDerivative(). vectors having coords that can't be squared without triggering an overflow or underflow. This means doubles having absolute value greater than 1e150 or smaller than 1e-150. Referenced by vector3::createOrthoVector(), and vector3::normalize(). Referenced by OpenBabel::areDuplicateAtoms(), OpenBabel::CartesianToInternal(), vector3::IsApprox(), vector3::randomUnitVector(), and OBBond::SetLength(). Referenced by OpenBabel::CalcTorsionAngle(), OpenBabel::CartesianToInternal(), OBUnitCell::GetA(), OBAtom::GetAngle(), OBUnitCell::GetB(), OBUnitCell::GetC(), OBForceField::LineSearch(), vector3::normalize(), OpenBabel::Point2Line(), OpenBabel::Point2PlaneSigned(), OBUnitCell::SetData(), OBBuilder::Swap(), OpenBabel::vectorAngle(), OBForceField::VectorAngleDerivative(), OBForceField::VectorLengthDerivative(), OBForceField::VectorOOPDerivative(), and OBForceField::VectorTorsionDerivative(). 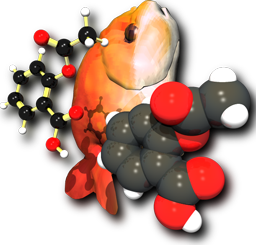 Referenced by OBMol::AddHydrogens(), SpaceGroup::AddTransform(), OpenBabel::areDuplicateAtoms(), OBForceField::ConjugateGradientsInitialize(), OBForceField::ConjugateGradientsTakeNSteps(), OBBuilder::Connect(), OpenBabel::cross(), vector3::distSq(), OpenBabel::dot(), OBGridData::GetAxes(), OBForceField::GetGrid(), OpenBabel::GetLabelAlignment(), OBBuilder::GetNewBondVector(), OBGridData::GetValue(), matrix3x3::matrix3x3(), OBForceField::MolecularDynamicsTakeNSteps(), transform3d::Normalize(), OBForceField::NumericalDerivative(), OBForceField::NumericalSecondDerivative(), OpenBabel::operator*(), vector3::operator*=(), OpenBabel::operator+(), OpenBabel::operator-(), OpenBabel::operator/(), OpenBabel::operator<<(), vector3::operator==(), matrix3x3::PlaneReflection(), OBGrid::PointIsInBox(), matrix3x3::RotAboutAxisByAngle(), matrix3x3::SetColumn(), OBFloatGrid::SetLimits(), matrix3x3::SetRow(), OBAtom::SetVector(), OBForceField::SteepestDescentTakeNSteps(), SpaceGroup::Transform(), OBMol::Translate(), OBForceField::ValidateConjugateGradients(), OBForceField::ValidateGradientError(), OBForceField::ValidateSteepestDescent(), and OBUnitCell::WrapFractionalCoordinate(). Referenced by OBMol::AddHydrogens(), SpaceGroup::AddTransform(), OpenBabel::areDuplicateAtoms(), OBForceField::ConjugateGradientsInitialize(), OBForceField::ConjugateGradientsTakeNSteps(), OBBuilder::Connect(), OBMol::ConnectTheDots(), OpenBabel::cross(), vector3::distSq(), OpenBabel::dot(), OBGridData::GetAxes(), OBForceField::GetGrid(), OBBuilder::GetNewBondVector(), OBGridData::GetValue(), matrix3x3::matrix3x3(), OBForceField::MolecularDynamicsTakeNSteps(), transform3d::Normalize(), OBForceField::NumericalDerivative(), OBForceField::NumericalSecondDerivative(), OpenBabel::operator*(), vector3::operator*=(), OpenBabel::operator+(), OpenBabel::operator-(), OpenBabel::operator/(), OpenBabel::operator<<(), vector3::operator==(), matrix3x3::PlaneReflection(), OBGrid::PointIsInBox(), matrix3x3::RotAboutAxisByAngle(), matrix3x3::SetColumn(), OBFloatGrid::SetLimits(), matrix3x3::SetRow(), OBAtom::SetVector(), OBForceField::SteepestDescentTakeNSteps(), SpaceGroup::Transform(), OBMol::Translate(), OBForceField::ValidateConjugateGradients(), OBForceField::ValidateGradientError(), and OBUnitCell::WrapFractionalCoordinate(). This method uses unreliable floating point == comparisons Use vector3::IsApprox() instead. Safe comparison for floating-point vector3. true if the vector *this is approximately equal to the vector other, to the precision precision. More specifically, this method works exactly like the OpenBabel::IsApprox() function, replacing the absolute value for doubles by the norm for vectors. precision This parameter plays the same role as in OpenBabel::IsApprox(). Referenced by OBForceField::GetGrid(), and vector3::IsApprox(). Construct a unit vector orthogonal to *this. Creates a vector of length one, orthogonal to *this. res reference by which to pass the result. always true. (Return value kept for compatibility, as old versions of OpenBabel used to check for normalizability).